The Al Habtoor Group’s motto is ‘Growing with the UAE’. Since inception in 1970, it has grown organically in line with the growth of the United Arab Emirates. Today it is one of the region’s largest and most respected conglomerates recognized globally through its involvement in the hospitality, automotive, real estate and publishing sectors. Khalaf Ahmad Al Habtoor is a prominent and highly respected citizen of the United Arab Emirates. A self-made man, he’s Chairman of the Al Habtoor Group – one of the most successful conglomerates in the Gulf. The Al Habtoor Group was founded at the time the United Arab Emirates became an independent nation. From modest beginnings, the group has matched the pace of growth of the UAE. The Sawalef Newsletter is the Al Habtoor Group’s internal publication, reporting on the latest news and events across the company’s divisions. The Al Habtoor Group has grown with the UAE, and while best known for construction, it is globally recognised through its involvement in the hotel, automotive, real estate, education, insurance and publishing sectors. Al Habtoor Group timeline. The Al Habtoor Group has embarked on a rapid expansion plan its Hotels Division in recent years – spreading it wings within the UAE and abroad. 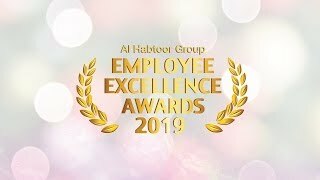 This division takes great pride in the fact that, while a home-grown operation, the Al Habtoor Group competes on a global scale with the many international chains that are active throughout the region. As the Middle East's longest established hotel group, it has decades of experience, and has carved out a reputation for its exemplary service, and unique properties in the best locations. Established in 1983, Al Habtoor Motors is one of the leading automobile distributors in the UAE and has become synonymous with global brands such as Mitsubishi, Chery and JAC Motors along with an impressive stable of high-end, luxury cars, like Bentley, Bugatti and McLaren. Established in 1983, the company has earned an enviable reputation for delivering first class customer service and highly professional technical support. It has an empowering work ethic and its philosophy is based on the total commitment of its employees, recognised as its most valuable asset. Building on the established reputation of the Al Habtoor Group, and embracing the same commitment to quality and service, Diamondlease is one of the largest car rental and leasing companies in the UAE. Formed in 1996 to address growing demand, Diamondlease today provides a variety of outsourced transportation solutions to corporate and individual clients across the UAE. With over four decades of experience in the real estate sector and a carefully developed and tended portfolio of properties, Al Habtoor Real Estate delivers an honest, total value package, with the emphasis on tenant care and a thorough understanding of client needs. Emirates International Schools (EIS) has two schools - the first, Jumeirah, opened in 1991 and the second, Meadows, in 2005. 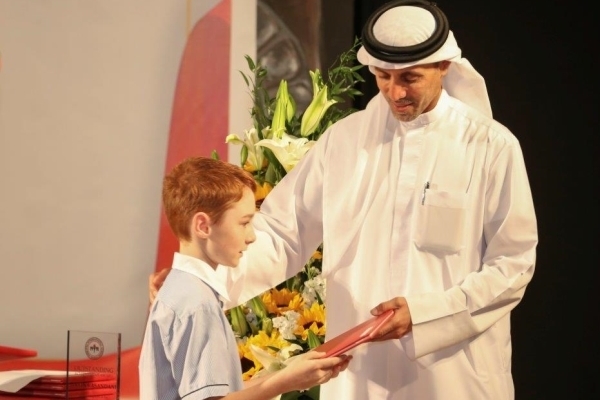 EIS was the first to offer the International Baccalaureate Diploma Programme (IB) in Dubai and International Primary Curriculum tuition in the UAE. The Al Habtoor Group’s Publishing division produces one of the most respected corporate magazines in the Middle East - Al Shindagah - which promotes the UAE and other countries in the region. Produced in English and Arabic, the magazine has featured several high profile interviews with the likes of former US President Jimmy Carter, The Right Honourable Baroness Sayeeda Warsi, and The Right Reverend Lord Harries of Pentregarth, among others. The Al Habtoor Group has grown with the UAE, and it is globally recognised through its involvement in the hotel, automotive, real estate, education, insurance and publishing sectors. Are you goal oriented, motivated and looking for a challenging career with the Al Habtoor Group? Offering a unique opportunity to gain valuable experience, the Al Habtoor Group Internship Programme is designed to educate, mentor and motivate talented young people. The Al Habtoor Group has grown with the United Arab Emirates. What started out as a small engineering firm in 1970, is today one of the region’s most respected conglomerates with interests in the hospitality, automotive, real estate, education and publishing sectors. The Al Habtoor Group has earned itself a solid reputation both locally and internationally due to the vision of its Chairman, Khalaf Ahmad Al Habtoor. The Al Habtoor Group is one of the UAE's most respected and successful businesses. Today it operates in the UAE and international markets. It employs thousands of highly-qualified, experienced professionals. Just as the name of the UAE has become synonymous with trade and enterprise all over the world, the name of the Al Habtoor Group has become synonymous with dynamic growth, evidenced by its commitment to develop and grow businesses in multiple sectors. It proudly waves the United Arab Emirates flag in many cities around the globe including London, Vienna, Budapest, Beirut and Springfield, Illinois. Al Habtoor Motors' brand portfolio includes Mitsubishi, with a wide choice of sedans, 4x4's and commercial vehicles, two well-known Chinese brands, JAC and Chery, Temsa buses as well as premium marques such as Bentley, McLaren and Bugatti. The company has a well-established network of nine showrooms, nine service centres, four body shops and ten parts centres that effectively cover the entire UAE. In 2015, Al Habtoor Motors entered the Saudi Arabian market for the first time with Mitsubishi Fuso. Al Habtoor Motors owns and operates the world’s first – and largest – iconic Bentley Motors showroom to be built in major cities around the world. The state-of-the-art showroom is located in a prime location on Sheikh Zayed Road, with built-up area of 76,000 square feet. It consists of three basement floors designated for parking, in addition to three floors of customer area displaying over 70 vehicles, offices, boutiques, Mulliner lounge, a VIP Majlis and other related required services. Adding to its unique design, over 200 thousand LED lights illuminate the outer façade. Diamondlease specialises in short-term and long-term leasing of popular brands ranging from small to mid-sized saloons to pick-up trucks and buses. The Group’s real estate division includes a variety of commercial and residential properties from office space to luxury villas. Al Habtoor Real Estate provides a total value package, with an emphasis on client needs. The real estate division includes Al Habtoor City’s Residence Collection, currently under development. The upmarket lifestyle destination embodies exclusivity and style. The three residential towers comprise of deluxe apartments, lofts and penthouses, ranging from 1-7 bedrooms in a unique neighbourhood. Residents will have access to all Al Habtoor City’s amenities, which include the largest swimming pool podium in the UAE, a state-of-the-art gym, luxury spa, signature restaurants and have the added bonus of all being right on the banks of the Dubai Water Canal. In addition they can benefit from three five-star hotels right on their doorstep. The Al Habtoor Group has long been a pioneer in the field of education, it operates two well-established schools offering quality education from KG1 to Grade 13. Emirates International School – Jumeirah and Emirates International School – The Meadows are accredited IB World Schools. The Group’s publishing arm regularly produces quality publications including Al Shindagah magazine, a bilingual corporate magazine, which has been in circulation since1993. Copyright © 2019 Al Habtoor Group LLC.